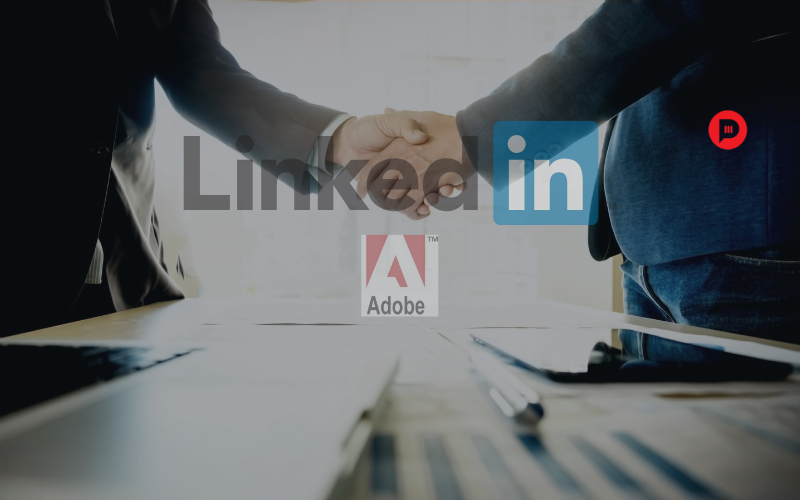 Recently LinkedIn announced a new collaboration with Adobe which will expand and accelerate it’s account based marketing to Adobe Experience Cloud users capabilities. The joint forces will mandatorily and easily enable marketing and sales teams to utilize data from LinkedIn, Marketo Engage and Microsoft Dynamics 365, to gain greater insight into the target audiences they need to reach, and target their customer buying teams more effectively. Gain a deeper, real-time understanding of targeted audience/accounts. This new joint venture, partnering Adobe’s back-end tools with LinkedIn’s insights, will definitely widen their combined offerings. And with LinkedIn now serving more than 610 million members, and seeing record levels of engagement, that data resources is growing every hour of the day. This is LinkedIn’s latest joint venture to make better use of its dataset and expand its advertising potentials professionally. Now, with two giant tech forces further empowering LinkedIn’s advertising capabilities. It will be easier than ever before to deliver the right content to the right set of audiences. This will ultimately help marketers run successful LinkedIn campaigns, making LinkedIn a more powerful tool for reaching the right audience. Next Article Top Social Media Updates of 2019 you Need to Know!